H&M Analytical Services has a combination of technical experts and engineers that comprise our engineering consulting expert witness services team. With years of experience performing failure analysis, root cause analysis and detailed testing and report generation, our team is uniquely designed to excel in research, litigation services, intellectual property disputes and patent filings. As one of the best litigation supports service companies, we have worked with both the defendant and plaintiff attorneys. Our staff of experienced PhD’s are well versed in the literature review process as well as materials testing, report preparation and writing and witness services. H&M is here to assist in any form of legal support services that arise. Typically the first step in any dispute is to review the existing intellectual property to determine what is there within the literature. The search of scientific databases is key to finding information on a specific product or idea that is under scrutiny and provides more data on which tests are required for the dispute. Once the plan is established the actual testing must commence to prove or disprove the claims. H&M is able to utilize their state of the art equipment to provide the best data available. Our quality is unmatched and providing uninhibited data integrity is our standard practice. After the Literature review and testing comes the actual expert report. This document requires the utmost care and preparation. Our experts include key information from both the literature review and testing of the material and form educated, expert opinions on the status. 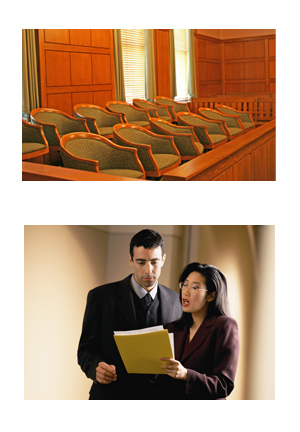 We also provide witness services in which H&M can testify at the deposition or the trial. We work closely with clients to prepare and can provide exhibits if needed to aid the court in complex situations. Another common practice is the review and filing of patents. In the pharmaceutical industry, XRD and thermal analysis data are standard tests to patent new drugs. H&M provides these services as well as test pharma materials against other patents in order to determine if there is any infringement. The Curriculum Vitae of any of our experts can be made available upon request. Please contact us for more information and click here for more data on our services.